Considered by some the faintest Messier object, this planetary nebula is also called the Barbell Nebula. 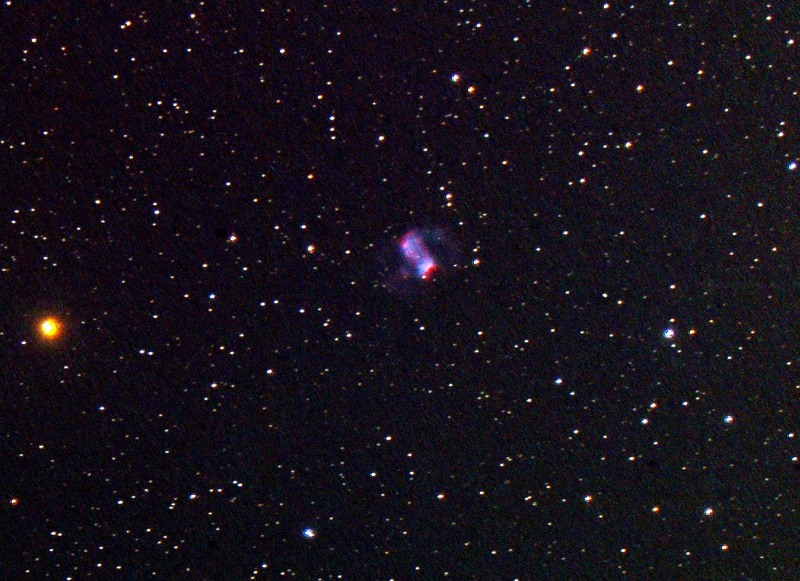 Cross referenced as both NGC 650 and 651. The central star is 15.9 mV.